Come on up to Downieville for a small town fun-filled, family holiday! Our parade is so much fun and the Downieville "Fireless Fireworks" are pretty cool! 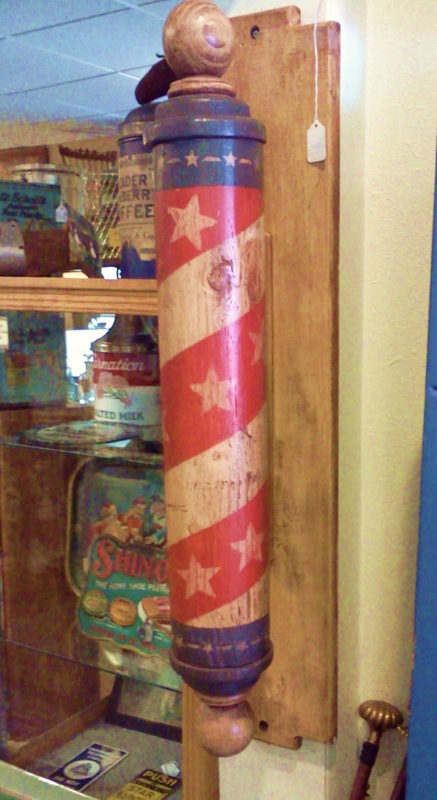 Since we're located in Tahoe National Forest, real fireworks are not allowed, but we've got a fun alternative!! As huge rolls of bubblewrap are rolled down the street, kids and adults jump into the parade to stomp on the bubblewrap! POP, POP, POP and voila-Fireless Fireworks!! The parade is ALWAYS on the 4th of July along with the Foot Races. 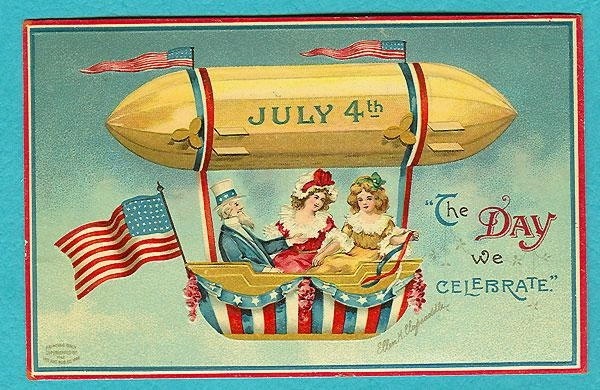 This year-Wednesday is the 4th. On Saturday, July 7 the other events are happening-Fireman's Muster, BBQ and Street Dance. 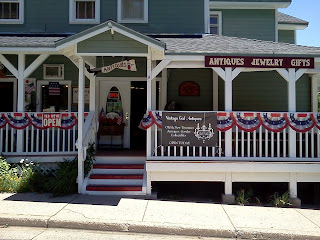 Vintage Gal Antiques will be open Wed.-Sunday from 10am-4pm (or later). I am happy to open for appointments; please call 530-289-3659. Have a wonderful holiday! 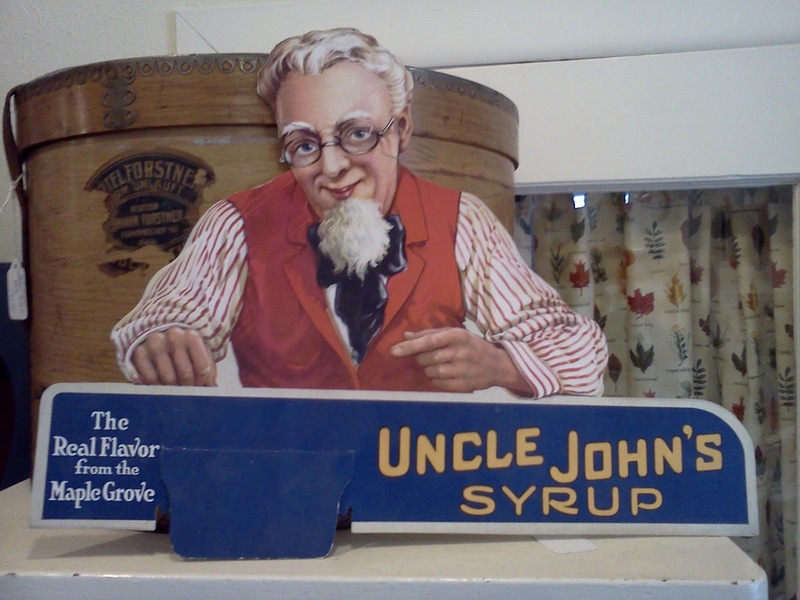 Red, white and blue advertising sign. Vintage Gal all gussied up for the 4th of July! Graniteware, made from a variety of metals with enamel coating derives its name from its appearance. The speckled, swirled, or mottled effect of the various colored enamel resembles the patterns of granite. Graniteware's many virtues made it a popular and economical choice for cooking in the 19th century. It was "colorful, easy to clean, durable, and did not rust." What is the difference between graniteware and enamelware? Graniteware is a form of enamelware. It is made by applying a paper with an oxidized pattern on it to a piece of enamelware that was not yet dry. This process gives graniteware a pattern resembling granite. Enamelware is made from an old process of coating metal with porcelain. 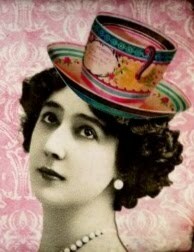 It became popular during the 1800s. Graniteware was featured in 1876 at the Philadelphia Expo. Some of the more unusual and rarer colors include cobalt blue and white, green and white; especially the “chrysolite” variety, brown and white and red and white swirled items. Decorated items are uncommon; as well as children’s pieces and salesman’s samples. 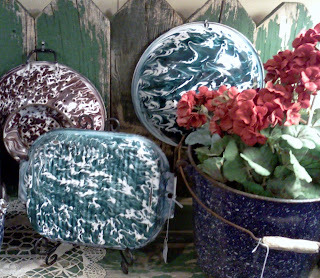 I purchased a wonderful collection of graniteware and enamelware~many are unusual pieces in hard-to find colors. 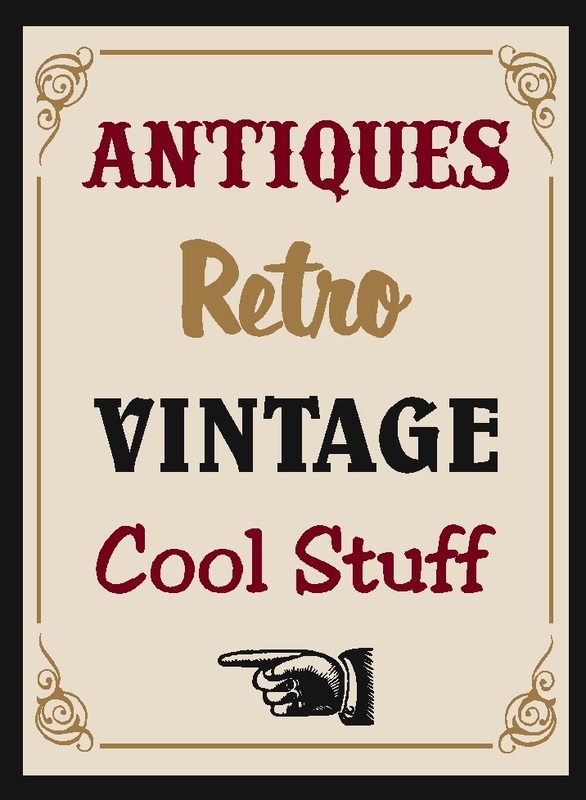 Please stop by Vintage Gal Antiques and check it out! Colorful selection including rare brown/white colander and some nice examples of Chrysolite pieces. Variety of grey graniteware, mottled, speckled and swirl patterns. Unusual teapot and flask on middle shelf. On lower shelf, an example of Manning Bowman teapot with metal breast and lid rest on handle-extremely rare.